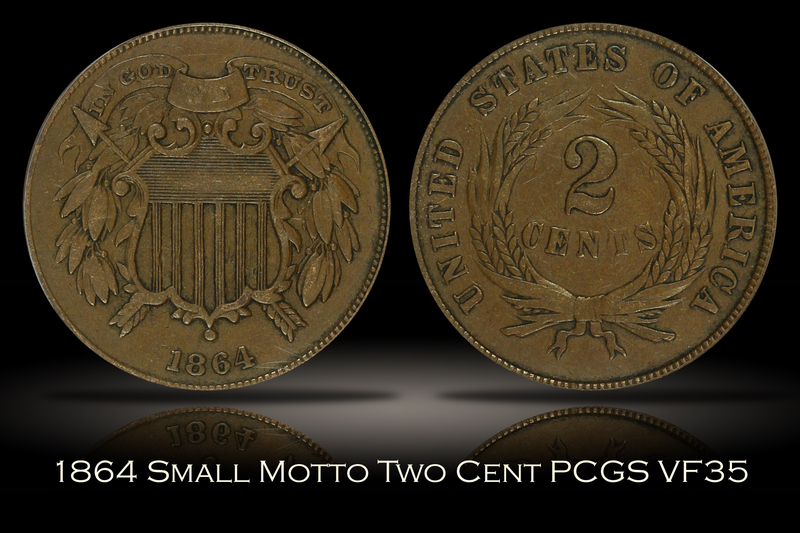 The 1864 Small Motto Two Cent piece is a very popular one year only type coin and a key date variety in the series. 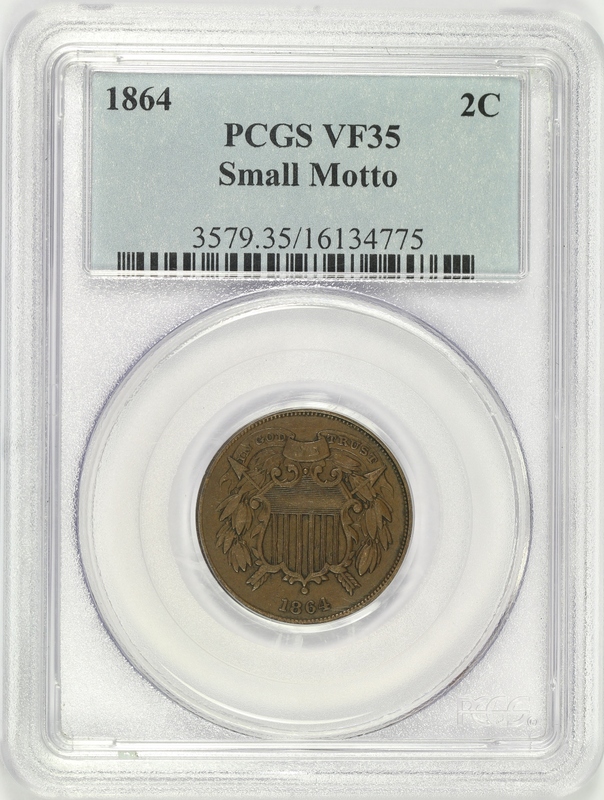 This example of the 1864 Small Motto Two Cents has been graded VF35 by PCGS. 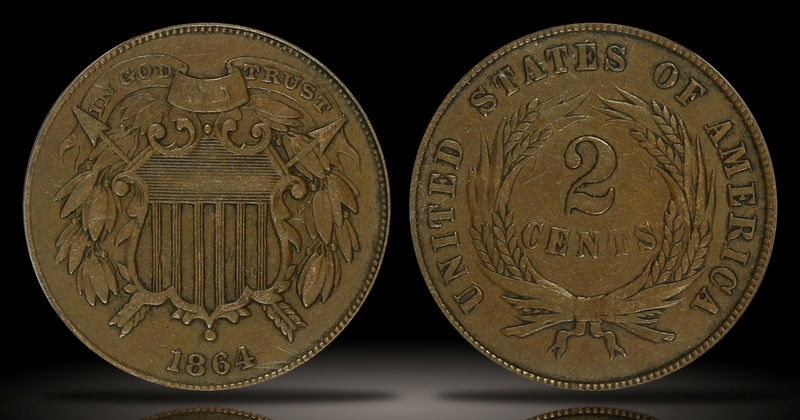 The coin has an even medium chocolate brown color with no major marks or spots. Just even wear that is consistent with the assigned grade. 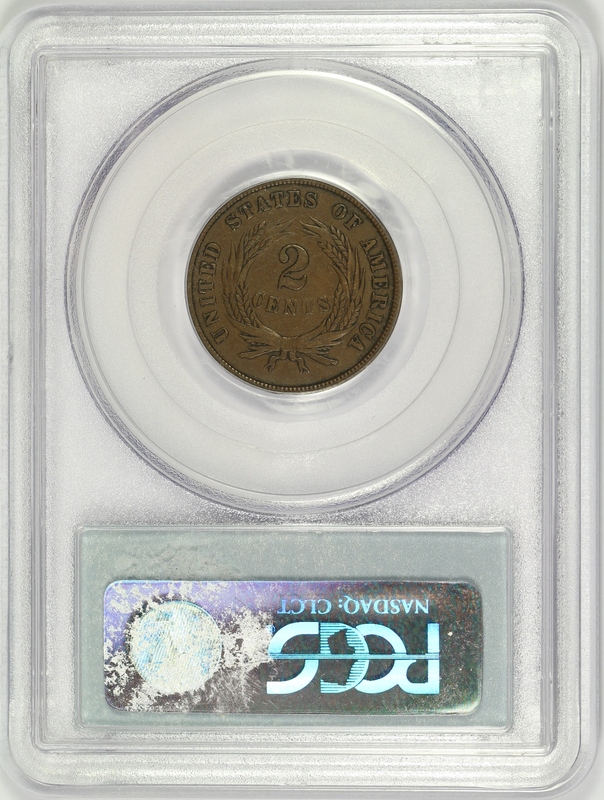 An excellent example of the type for the collector who wishes to include a key date small motto Two Cent piece in their collection.